BDSmktg considers itself a specialist in marketing other companies’ brands, so how has being the first company to win a Stevie Award for Best Marketing Team in The 2003 American Business Awards helped BDS to enhance its own brand? Since winning the first Stevie Award for Best Marketing Team in 2003, we have found that current and prospective clients are excited to work with us as an award-winning company. 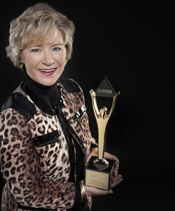 There’s a stronger confidence, enthusiasm, and pride in our brand, and we make sure to feature our Stevie Award wins in our marketing materials. As an industry-recognized honor, the Stevie Awards give greater credibility to our marketing campaigns. Winning the award in 2003 set the standard high for us. Since then, we continually strive to deliver award-worthy programs to each of our clients. Over the past nine years we’ve submitted our most outstanding programs for Stevie Awards, and we’re proud to have won four Stevie Awards and been Finalists in five categories. Right now, we are working on our 2012 submissions and are hoping for another win! What events have had the most impact on your business over the past ten years? As with most businesses, the recession definitely affected BDS. We’ve seen our Fortune 500 clients holding on to their budgets tighter, and waiting longer to make decisions to spend money on marketing services. We’ve also seen big changes in speed-to-market and the speed of connectivity, both of which have greatly impacted our business. Information is more accessible to consumers than ever before, making consumers more educated than ever before. This has caused us to evolve how we train our representatives as well as how they train sales associates. It has made us more nimble, resourceful, and creative with our training solutions. What are your top tips for increasing sales impact? Don’t buy any lists. For BDS, it’s always been about the personal relationship we have with our clients. Our partnerships with our clients are built on trust, honesty, and integrity. BDS is built on long-term relationships: We have client partnerships that go back as far as 15 years. We’ve found that the most successful kind of business relationships come from the recommendations of our clients. We never want to be just a vendor to our clients, but their trusted partner. What are your company’s plans for the future? We are looking to become a larger player in the marketing industry over the next few years and are working to achieve that goal by diversifying the industries that we represent. We are also expanding our service offerings by building out our proprietary platforms in business intelligence and training, and developing innovative out-of-store concepts as we see a shift in retail formats. The people I work with—we have a great family here at BDS. Great clients—we get to work with amazing products from our top brand clients. The combination of our people, our clients, and representing great products, makes me excited to come to the office each day. As founder and CEO of BDSmktg, Mark Dean is the heart and soul of BDS. Drawing on more than 30 years of marketing and business management experience, he channels this knowledge into an organization that prizes innovation and teamwork to achieve its clients' marketing goals. Noted as an inspirational leader, Mark has an innate talent for bringing out the best in people and accepts nothing less. Mark is responsible for ensuring that BDS is a well-managed, profitable agency that is an "employer of choice" in Orange County. His responsibilities also include providing senior-level strategy and consultation services to the agency's vast client base. Mark studied public relations, journalism, and business at the University of Illinois and Northern Illinois University. He resides in Aliso Viejo, California with his wife and sons. BDSmktg is a marketing agency that delivers sales by offering customized solutions that work for its clients and are personalized to each client’s brand. The company is driven by the power of its people. Its high-performance teams generate sell-through and its client service specialists offer expertise to enhance marketing strategy. With retail as its specialty, BDS is an innovator in the areas of marketing analytics, training and learning incentives, market development, performance selling, brand advocacy, and merchandising. Clients include Canon, Dell, FedEx, Jawbone, Motorola, Sam’s Club, Toshiba, and Walmart. BDS is based in Irvine, California, and has been operating with excellence since 1984. For more information, visit www.BDSmktg.com. Marketing 24/7, Inc., of Birmingham, Alabama, USA, received the Stevie® Award for Small Budget Marketing Campaign of the Year in the marketing awards categories of The 2011 American Business Awards, the premier business awards program in the U.S.A. (The 2012 ABAs are now accepting entries. Download your entry kit here and submit entries by the March 28 deadline.) Here we look at how Marketing 24/7's outreach catapulted their campaign. The Business Makeover Birmingham® (BMB®) project is an annual joint program that was started in 2008 with seven Project Partners including a bank, a sales coach, an accounting firm, an insurance company, a law firm, and the business school of a university. In 2009 and 2010, these businesses and professional service providers contributed services worth more than $30,000 each year. As part of their services, one company (nominated by Birmingham, Alabama-based companies) received a strategic business makeover. The communications awards winner was charged with developing and implementing a marketing campaign for both the 2009 and 2010 BMB® contests. Marketing 24/7's campaign components consisted of announcing the makeover and its services, encouraging the business community to apply, announcing the five finalists and the ultimate winner, branding the Project Partners, and providing updates regarding the winners’ makeover progress. The overall budget for promoting BMB® was very much “on a shoestring.” Only one-third of the initial investment by the Project Partners was devoted to advertising in the first year. In the second, the advertising component was increased to two-thirds of the total marketing budget. Marketing 24/7 secured a free website template and hosting while leveraging social media to promote the business makeover contest. Despite the small budget, media coverage was beyond expectation with coverage in newspapers, magazines, TV, and the Internet. The BMB® winners received extensive publicity obtained by Marketing 24/7. a strong following by the general public. The winners of the contest have been delighted by the results, and many other businesses and individuals are interested in being nominated for future BMB® contests. Ruwena Healy founded Marketing 24/7 in 2005 after 18 years of experience working in banking and marketing professional services firms. Healy’s business awards for the two-year campaign of Business Makeover Birmingham include the 2010 PR News PR Platinum Award, a Clarion Award from The Association of Women in Communications, a Platinum Award from Hermes Creative Awards, and she has been a three-time Finalist in The Stevie Awards for Women In Business. Healy holds a bachelor’s degree from the University of Florida and a master’s degree from Florida State University. She is a member of numerous professional organizations. In 2012, Marketing 24/7, Inc. celebrates its 7th anniversary of providing professionals with marketing and business ‎development solutions. Chief Executive Officer Ruwena Healy founded the firm with the mission of providing ‎high-level marketing and business development consulting, marketing plan development and execution, ‎and strategic planning services to companies, entrepreneurs, and professionals. Marketing 24/7 offers ‎expertise in personal branding and company branding, and in improving marketing and business ‎development effectiveness for the purpose of increasing revenues and profits. For more information, visit www.marketing247.net. Emirates NBD, a United Arab Emirates bank, won the Stevie® Award for Marketing Department of the Year in the marketing awards categories of The 2011 International Business Awards. (The 2012 IBAs are now accepting entries. Get your entry kit here and submit your entries by the 11 April early-bird deadline for discounted fees.) Here we outline their innovative 360-degree marketing approach to building the leading banking brand in the UAE. become a top 100 global banking brand by 2013. With the world in the middle of a financial crisis, however, the timing was a little challenging. In order to accomplish the bank’s objective of becoming a leading UAE banking brand, the Emirates NBD Group Marketing department had to build a new and powerful brand value proposition. Based on market research of over 1,200 respondents across the Emirates, Group Marketing developed the “Enriched Banking Experience” as the reference frame for all its marketing activities. This value proposition is all about providing customers with the best possible banking experience, while at the same time engaging them in experiences beyond banking through a stronger emotional appeal. Led by Vikram Krishna, Head of Group Marketing at Emirates NBD, the marketing division was responsible for developing an innovative 360-degree marketing approach to implement the bank’s value proposition across all customer touch-points. • A comprehensive online brand value management system. Emirates NBD launched a number of product innovations and linked them to experiences. For example, its DNATA and Skywards credit cards made the travel experience for their users much more rewarding, and its Gold Certificates were linked to a concert by a famous Indian singer. The newly designed website generated five times more leads. Group Marketing carefully selected a number of events, based on the experience they provided, for Emirates NBD to sponsor. The 360-degree approach was applied by analyzing all potential customer touch points from A to Z. Branding and interactions with the customers in different formats were based on this research. The ideal brand activation is where the brand becomes part of the customer experience. This was the case with Emirates NBD’s innovative branding of the Dubai Aquarium, a core attraction in Dubai Mall. A brand has to come to life from the inside out. A number of initiatives were started to transform all the banks 7,000 employees into brand ambassadors. One of them was an internal campaign called “I am Emirates NBD.” Six employees who best represented the bank’s core values were featured in the campaign. Group Marketing launched a major advertising campaign called “Truth and Reality.” The campaign implemented the bank’s value proposition: Truth is a fact linked to a banking experience, whereas reality is what people make of it—and their personal experience beyond banking. Using the 360-degree marketing approach to implement its new brand value proposition, Emirates NBD has successfully reached its objective of becoming the No. 1 banking brand in the UAE. In the YouGov BrandIndex (a widely used tracking tool in the UAE) Emirates NBD improved its score from 17 to 26, while its competitors stayed at around 16. According to The Banker magazine, Emirates NBD increased its brand value by US $295 million. It is now ranked in 130th position globally, and in first position in the UAE. Vikram Krishna is Head of Group Marketing at Emirates NBD. He is a senior banking professional with in-depth knowledge of Retail Banking, Retail Assets, and Mortgages. Krishna has a rich and varied sales and marketing experience across financial products and brands. 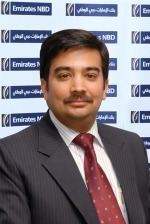 Before joining Emirates NBD, Krishna was Senior Vice President Marketing-Retail Assets at HSBC India. Prior to that, Krishna held the post of Vice President, Head of Mortgages for North India at CitiFinancial. Communicate Magazine (in association with Advertising Age) recently named Krishna one of the 50 most powerful media, advertising, and marketing executives in the Middle East.Krishna has a bachelor’s degree in Mathematical Studies from Delhi University and an MBA in marketing from Bharatidasan University, Tiruchirappalli, India. Emirates NBD is a leading banking Group in the region with over 133 branches and over 750 ATMs and SDMs in the UAE. Emirates NBD employs more than 7.000 employees with over 50 nationalities. The Group has operations in the UAE, the Kingdom of Saudi Arabia, Qatar, Singapore, the United Kingdom, and Jersey (Channel Islands), and representative offices in India and Iran. For more information go to www.emiratesnbd.com/en/.